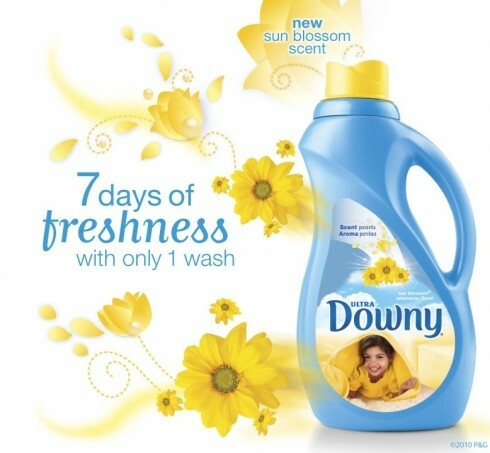 Downy is giving away 5,400 FREE samples of Sun Blossom Downy today (4/27) at 12 p.m. ET. This one will go really fast, but it may be worth a try if you’re by your computer at noon! “Like” Downy on Facebook and watch their wall for the link to the promotion when it goes live! I just happen to sit at the computer at this time and I got a sample. Thanks. I didn’t get my email until 5:36pm, so of course the samples are all gone now. Is there any way we can get the emails out at an earlier time? I know I have missed a lot of facebook giveaways due to not getting the email until hours after the freebies went live. Thanks. Rhonda, you can sign up for the On Demand email option here. You’ll receive more frequent emails throughout the day then!